Letters expressing their sorrow at the passing of Shamar Rinpoche have been written by His Holiness the 17th Karmapa Thaye Dorje, leader of the Karma Kagyu lineage, His Holiness Sakya Trizin, leader of the Sakya lineage of Tibetan Buddhism, Drikung Kyabgon Chetsang Rinpoche, head of the Drikung Kagyu, Dilgo Khyentse Yangsi Rinpoche, one of the highest teachers of the Nyingma lineage, Lama Ole Nydahl, founder of Diamond Way Buddhism, Sherab Gyaltsen Rinpoche, as well as many other eminent Buddhist teachers, whose letters are published on Shamar Rinpoche’s website. His Majesty the 4th King of Bhutan Druk Gyalpo Jigme Singye Wangchuck also wrote a letter of condolence to Rinpoche’s brother Lama Jigme Rinpoche. His Holiness the 17th Karmapa Trinley Thaye Dorje is the lineage head of the Karma Kagyu, and was recognised by Shamar Rinpoche and received the Karma Kagyu transmissions from him in accordance with tradition. His Holiness Shamar Rinpoche passed away this morning. Sadly, his physical manifestation has left our material world. Yet he was and continues to be our teacher, and his aspirations and blessings will remain with us always. We must dedicate our merits and practice to him, and do the practice of Amitabha, since he himself is the emanation of Amitabha. 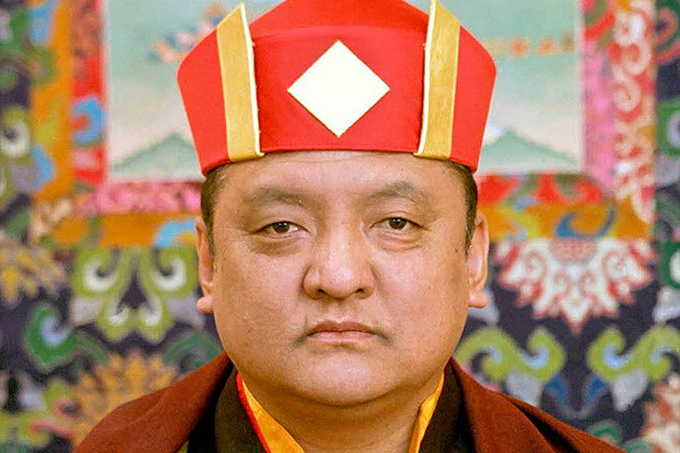 His Holiness Sakya Trizin is the head of the Sakya lineage of Tibetan Buddhism. The following is an English translation of his letter. Recently I heard the news that His Holiness the supreme Shamar Rinpoche suddenly passed away. At that, I was filled with regret. Because of this I am offering these well-wishes in order to console the hearts of all for whom I have generated equal tenderness. The supreme Shamar Rinpoche departed peacefully and spontaneously, while protecting and supporting vast Buddha activities, taking great care, as a friend, of all beings and the teachings, in broad terms and in detail. Despite the occurrence of this immeasurable loss, both public and private, rely without delay on the Buddha activities. [Do that] and for the sake of the good fortune of the teachings and all beings the unmistaken young rebirth of his completely perfected undefiled mind continuum will swiftly appear again, free of confusion. I make this aspiration to the boundless, victorious Three Jewels, together with the aspiration for his mind continuum to remain. His Holiness the 37th Drikung Kyabgon Chetsang Rinpoche is the throne holder of the Drikung Kagyu lineage. When I heard the message bestowed upon all by the Noble Karmapa Trinlay Thaye Dorje that this morning, due to the nature of impermanence, the physical form of the Noble 14th Shamarpa Mipham Chokyi Lodro had departed peacefully, I became filled with regret. Hence I am presenting this offering to console the minds of his relatives and friends. In accordance with the primary intention of His Holiness the 16th Gyalwang Karmapa Rangjung Dorje, may the emanations of Shamarpa continuously appear. [May] non-attachment to this event be the cause of supporting his activities, which are a balm for the teachings and all beings. Lama Ole Nydahl is the founder of over 600 Diamond Way centres in the Karma Kagyu tradition. Lama Ole and his wife Hannah met Shamar Rinpoche when he was a young man studying with the 16th Karmapa in the Himalayas. They received many teachings and initiations together, and Hannah travelled with and interpreted for Rinpoche for many years. Sherab Gyaltsen Rinpoche is a highly respected lama of the Kagyu lineage and is a “Maniwa’, a title given to masters of the Chenrezig practice who have accomplished at least a billion Om Mani Peme Hung mantras. Rinpoche was ordained in Rumtek by the 16th Karmapa, Rangjung Rigpe Dorje. Dilgo Khyentse Yangsi Rinpoche is the reincarnation of Dilgo Khyentse Rinpoche, who was head of the Nyingma school of Tibetan Buddhism from 1987 to 1991. Dilgo Khyentse’s message. Now, even though one may feel inconceivable suffering and regret at the dissolution into the space of reality (dharmadhatu) of the supreme mind continuum of the Noble Victor Shamar Mipham Chokyi Lodro, there is nothing to be done as the nature of the world is dharmata itself. However, according to Your aspiration, Protector, along with the love generated equally by Your followers there is not only a memorial service but also precisely according to Your intention, our Guide, an advancement of our stainless tradition, the supreme practice lineage which is the overview and detailed explanations of the Buddha’s Doctrine. Along with my consolations, by generating a vast mind, a trained mind without discouragement, [I make this] request one-pointedly for the sake of your rebirth, an homage and wish for expanding the teaching of the Karma Kamtsang Practice Lineage like a river’s flow swells in the summer. [I] make this aspiration prayer that You, Protector, will swiftly manifest your emanation. 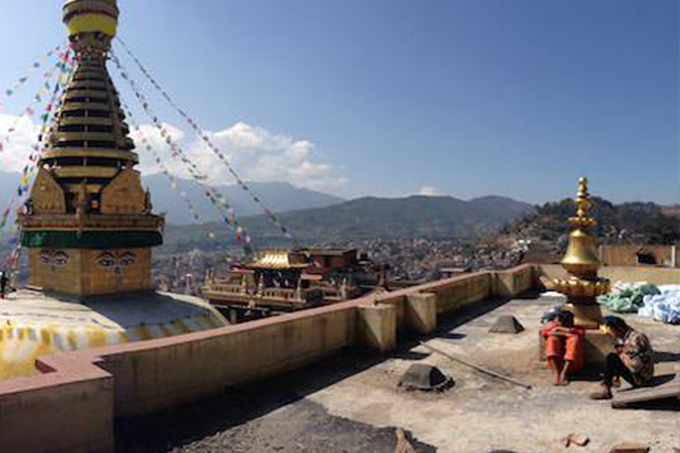 Shangpa Rinpoche is responsible for a number of Karma Kagyu monasteries and nunneries in Nepal and India. He was ordained by His Holiness the 16th Gyalwa Karmapa. Read Shangpa rinpoche’s letter on his website. Very sadly, HH Shamar Rinpoche has passed away. I feel very sad at this time. Yet after much deliberation, the enlightened activities of parinirvana is also another start of manifestation of nirmankaya. Thus, we should reflect it to remind ourselves of impermanence and put our time and effort towards the practice of Dharma. In order to tame the people who are in the view of eternalism, even lord Buddha also enter into the Parinirvana. I know all our disciples are deeply affected and feel sad over Shamar Rinpoche’s passing away and wish to do lots of practice to fulfil with wishes of Rinpoche. I strongly advise you to practice Amitabha prayers and recite the mantra of Amitabha. Also to end every session of practice with calling the guru from afar. During the practice, there are a few things that we need to remember. First and foremost is Guru Devotion. 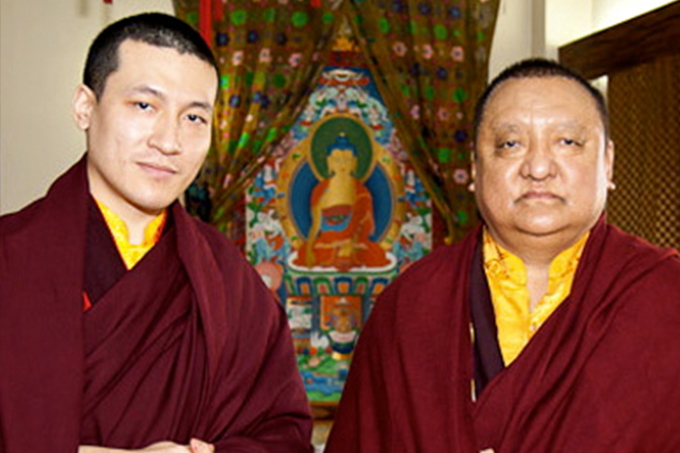 HH Shamar Rinpoche is our Root and lineage holder of our teachings therefore unwavering faith is important. Secondly, with such devotion, Guru’s wisdom mind and our nature of mind merge inseparably so that four empowerments from Guru are transmitted to us. Next although the physical body of Guru has passed away, the wisdom nature of Guru’s awareness is always present with us. Whenever we call guru, guru is always there to bless us. Guru’s physical manifestation appears like a moon’s reflection on a pond. Our devotion is like the pond and Guru’s physical manifestation is like moon’s reflection. The devotion from the disciple is an important factor fir the guru to reincarnate. Therefore, we should emphasize much on Guru Devotion and wish strongly that our Great Guru return to liberate us soon. For that, it is good to practice Amitabha Puja (since he is menifested from Buddha Amitabha) and make daily lamp offerings. These are the things disciples can do to express our sincere devotions to the guru and wish to see the return of HH Shamar Rinpoche again to lead and liberate us. I am also doing these and practicing guru devotion and Amitabha prayer and Calling Guru from afar daily. In all my life, may I never separate with the Perfect Guru and enjoy to the glorious profound Dharma. With that may I perfect the path and bhumis progressively and swiftly attain the state of Vajra Dhara. Lama Jampa Thaye has founded many dharma centres of the Sakya and Kagyu lineage. Lama Jampa Thaye is a teacher at the Karmapa International Buddhist Institute, a project of the 16th Karmapa that was completed by Shamar Rinpoche after Karmapa’s death.